Lake Luzerne, New York, is a community with about 3,500 residents in the east central part of the state. It is not only located within the confines of Adirondack Park, it is also known as the "Gateway to the Adirondacks." Native Americans named the area "Ti-o-sa-ron-da," meaning "the meeting of the waters." It is here that Sacandaga Lake forms a large bay where it meets the Hudson River. The community is in the Glens Falls area, north of the state capital of Albany. This area was inhabited for a long time by the Mohawk Indians. The first settlers of European descent arrived here in about 1770. In 1792, the town of Fairfield was split off of the town of Queensbury. In 1808, Fairfield's name was changed to Luzerne. The name was further modified to Lake Luzerne in 1963. The Hudson River Gorge is rated among the top 10 whitewater rafting runs in the country. River tubing offers fun to all ages along certain stretches of the Hudson River. In the winter, the tubing outfitters turn their attention to snow tubing. Runs as long as 1000 feet are available in the area. Lake Luzerne is a 100-acre lake that can be fished with an electric trolling motor. The lake is 52 feet deep, and here's a public boat launch. Anglers can pursue an interesting mix of species, including rainbow trout, largemouth bass, northern pike, rock bass and yellow perch. Those that invest in Lake Luzerne real estate can enjoy three different beaches in the community. There's Wayside Beach, Hudson Grove Beach and the Luzerne Heights public beach. The oldest weekly rodeo in the U.S. is the Painted Pony Rodeo. Barrel racing, steer roping and rodeo clowns make for an entertaining experience. Meanwhile, the Painted Pony Ranch has been offering horseback riding since 1953. Bennett's Riding Stables offers horseback riding in the spring, summer and fall before switching over to snowmobile tours in the winter. This highly rated stable offers trail rides of varying durations. Enjoy the unique scenery of area from a unique vantage point. The Lake Luzerne Chamber Music Festival has hosted musical greats like Dave Brubeck, Joel Brown and the Imani Winds in the past. The festival entertains residents and vacationers alike from late June through mid-August. At any one time, there will be 50-100 homes for sale in Lake Luzerne. Select from rustic cottages, luxurious, modern log homes and country estates. The prospective Lake Luzerne home buyer will also find waterfront Lake Luzerne NY real estate for sale. Contact Richard Waller for more information about these choice Lake Luzerne properties. Young families seeking starter-type Lake Luzerne NY homes will find quaint bungalows and in town and ranch-style Lake Luzerne homes in the country. 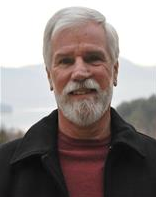 A knowledgeable Lake Luzerne real estate agent such as Richard Waller can show you real estate in Lake Luzerne that is especially well-suited to your needs. You'll find a fine selection of interesting Lake Luzerne Homes for sale.